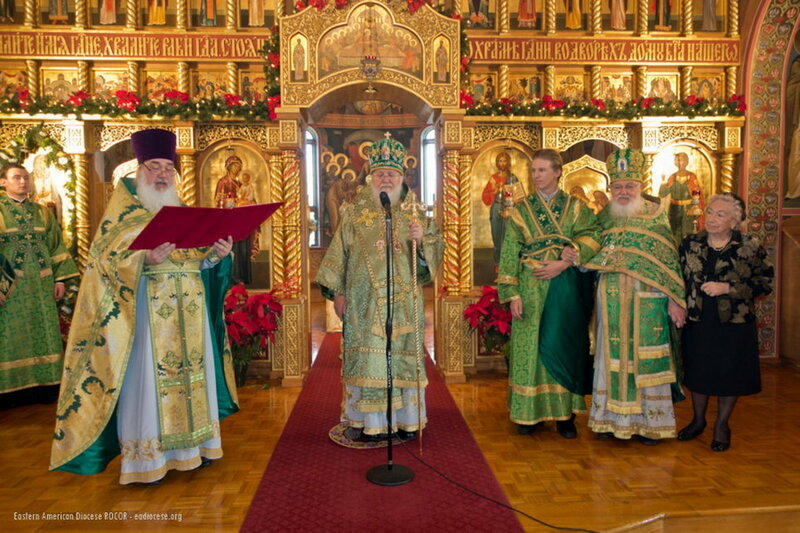 On Saturday the 14th and Sunday the 15th of January, the First Hierarch of the Russian Church Abroad, Metropolitan Hilarion of Eastern America & New York, led the All-Night Vigil and Divine Liturgy in St. Alexander Nevsky Diocesan Cathedral in Howell, NJ for the feast of the Repose & Second Finding of the Relics of Venerable Seraphim, Abbot and Wonderworker of Sarov. 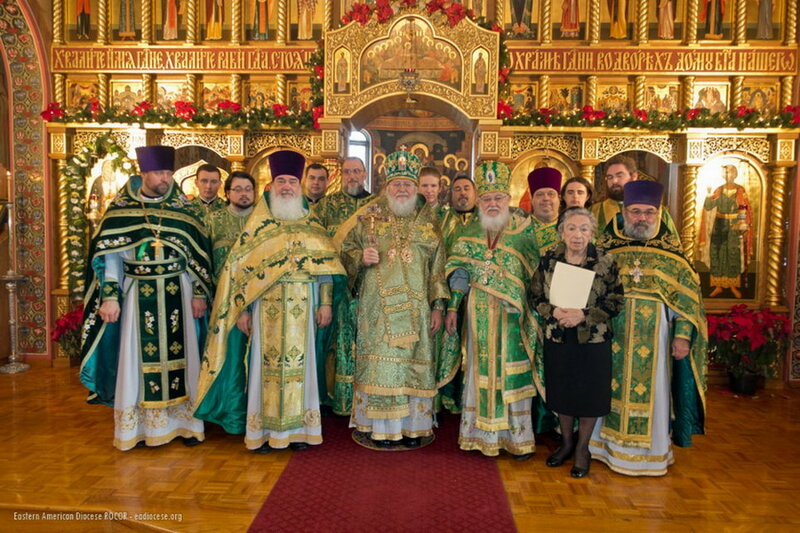 His Eminence was co-served by Protopresbyter Valery Lukianov (New Jersey dean and pastor emeritus of the cathedral), Archpriest Serge Lukianov (cathedral dean), and cathedral clerics: Archpriests Boris Slootsky and Seraphim Chemodakov, Protodeacons Nicholas Lukianov, Leonid Roschko, and Paul Drozdowski. A multitude of parishioners prayed at the divine services, many of whom communed of Christ’s Holy Mysteries. 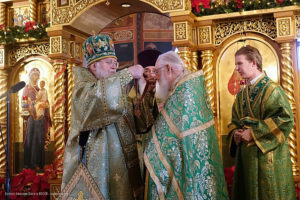 Congratulating the clergy and faithful with the holy days of Christ’s Nativity and the approaching feast of the Lord’s Baptism (Theophany), Metropolitan Hilarion called all to repent, to cleanse their souls, and to emulate the lives of the saints. His Eminence pointed to an example of a Christian asceticism in Venerable Seraphim of Sarov: «The venerable saint always rejoiced, and called everyone to rejoice in turn. When a person lives in spiritual joy and God’s grace abides in him, he cannot sorrow, but will always rejoice, for what can be better than to abide in God’s grace! Metropolitan Hilarion called on all to pray to Venerable Seraphim of Sarov, asking him to strength us in the Christian life and virtues. Upon completion of the service, with the blessing of Metropolitan Hilarion, the «Vasilopita» breads were blessed and cut and, during the kissing of the cross, distributed to the faithful. 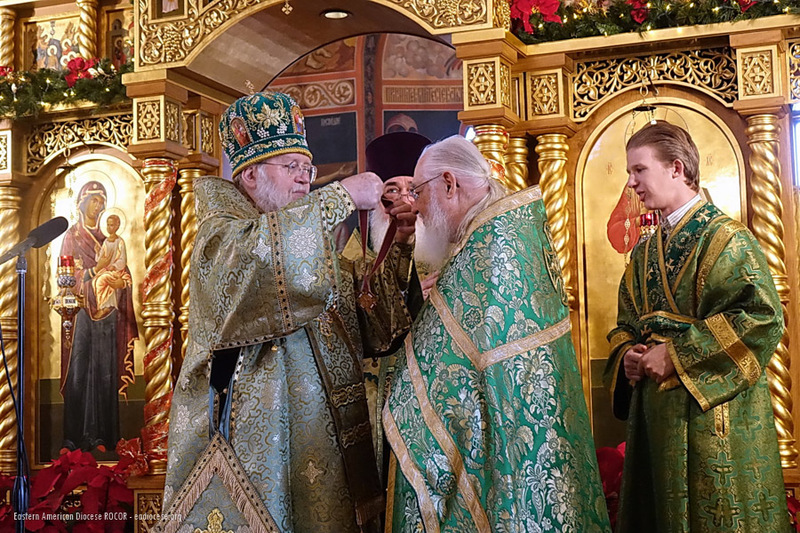 His Eminence then congratulated Protopresbyter Valery Lukianov on the fiftieth anniversary of his ordination to the priesthood. Reminding those present about Fr. Valery’s service to the Holy Church as the builder of St. Alexander Nevsky Diocesan Cathedral and as an author of church literature, the Metropolitan presented Fr. Valery with the Order of St. John of Shanghai, 1st Class. This award was instituted by the Western American Diocese and, as a rule, is issued exclusively to diocesan clergy. However, considering the fact that Fr. 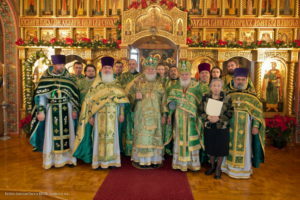 Valery is now the last clergyman ordained by the Holy Hierarch John of Shanghai & San Francisco himself, as well as him longtime service at God’s Altar and his particular labors on behalf of the Russian Church Abroad, Archbishop Kyrill of San Francisco & Western America blessed the granting of this award to Fr. Valery. 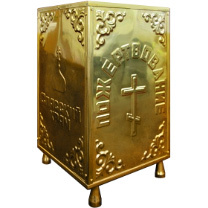 In recognition of her 50 years of labors as a choir member and Russian School teacher, for adorning the church, baking prosphoras, and cooking luncheons, Metropolitan Hilarion also presented a gift to Matushka Irina Lukianov. The daily procession then commenced. A festal luncheon was served in the church hall, during which interaction between the clergy and laity continued. That same day the parish Russian School held its children’s Christmas «Yolka,» which took place in the neighboring Russian House «Rodina.» Students put on a play, «Christmas in the Forest», and acted out the Russian folktale «At the Pike’s Behest». Grandfather Frost (Santa Claus) also arrived, distributing gifts to the children.